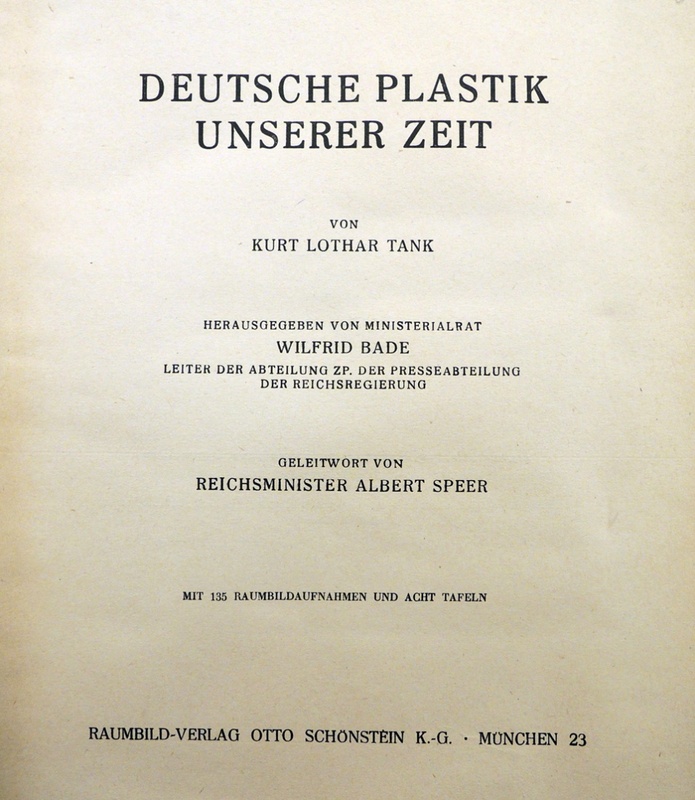 Raumbild Verlag (Stereoview publishing) was established by Otto Wilhelm Schönstein (1891-1958) in the 1930s (the earliest book I found is 1935). Their offices moved several times, eventually settling in Munich by the end of the decade. 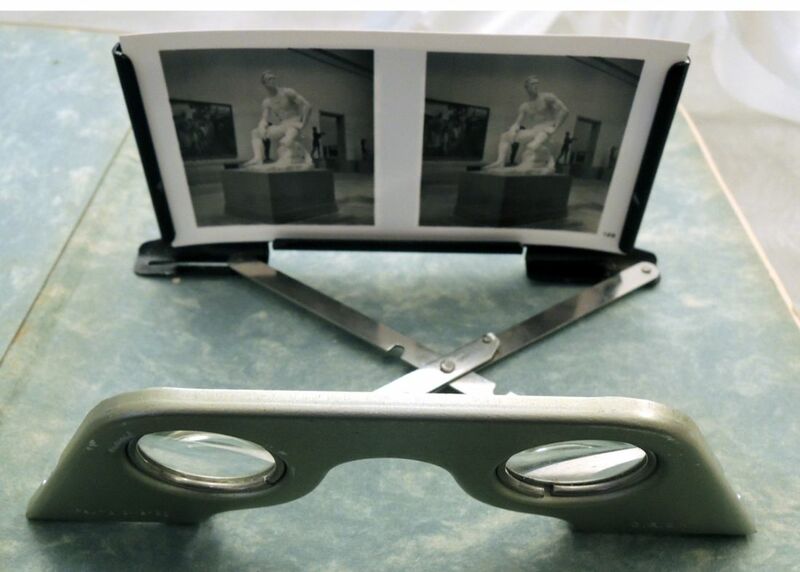 Each of his books was designed with extra thick boards, die-cut so that small stereographs could be inserted at the front and back, along with a stereo viewer (Raumbildbetrachter). Many of the titles included the photography of Heinrich Hoffmann (1885-1957), Adolf Hitler’s official photographer. 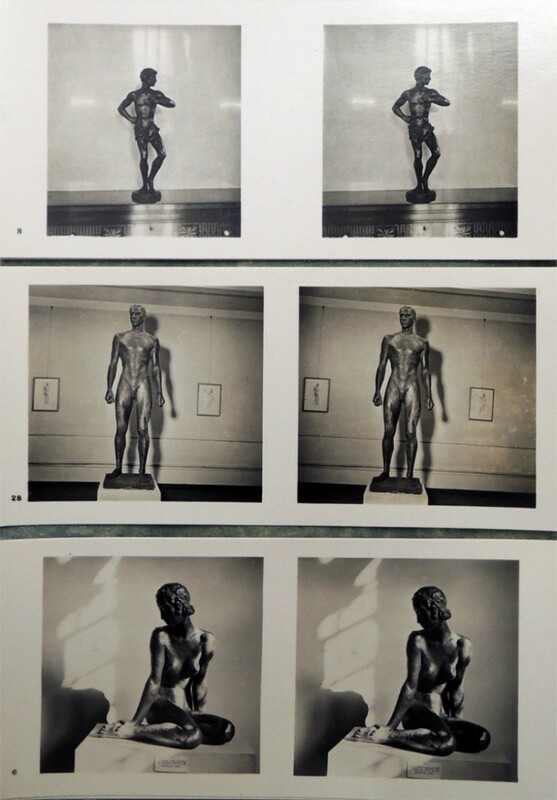 Thanks to the generous donation of professor Anson Rabinbach, Department of History, we now hold our third photobook from Schönstein’s firm, this one documenting Deutsche Plastik Unserer zeit (German Sculpture of Our Time). 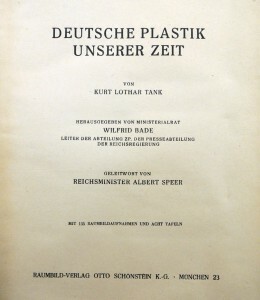 Kurt Lothar Tank (1910-) and Wilfrid Bade (1906-1945), Deutsche Plastik unserer Zeit (München: O. Schönstein, 1942). “Mit 150 Raumbildaufnahmen und acht Tafeln.” Graphic Arts Collection GAX 2013- in process. Gift of Anson G. Rabinbach. 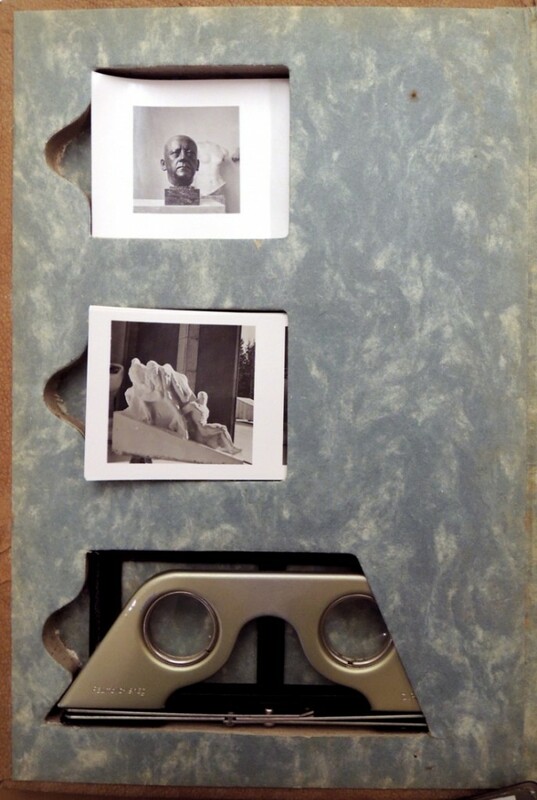 This entry was posted in Acquisitions, photographs and tagged Otto Wilhelm Schönstein on August 30, 2013 by Julie Mellby.